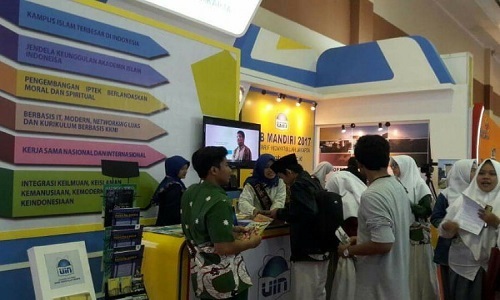 Student Center Field, BERITA UIN Onlineâ€”Prof. DR. Dede Rosyada MA, Rector of UIN Jakarta invited all of academic community to fill the 70th Year Republic of Indonesia independence with carrying out the duties optimally. In addition, theimplementation of the dutiesmust also in harmonywith accountabilityandadherence tothe rules of law. This was conveyed by rector while he was directing the commemoration ceremony of the 70th Year Republic of Indonesia independence in Student Center field, Campus I UIN Jakarta, Monday, August 17th 2015. The ceremony were followed by academics community since 6.30 AM. 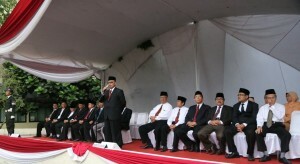 Rector said, the struggle for independence conducted by the nationsâ€™ predecessors at the expense of physical and mental. In addition to the physical struggle for hundreds of years, the independence also achieved by the nationsâ€™ predecessors through non-physical struggle was no less severe. “Therefore, let’s fill this independence by working as well as possible, away from actions that could violate ethics and rules which place we dedicates,” said Rector. For academics community of UIN Jakarta itself, rector continued, filled the independence could also be done by implementing vision and mission of UIN Jakarta that suits with each roles and responsibilities. 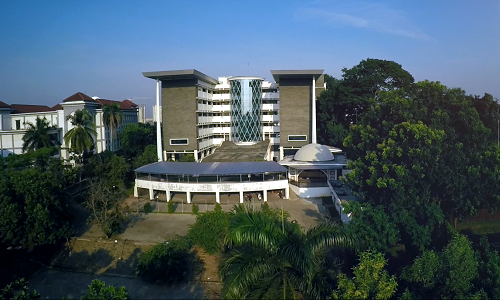 This is expected to be achievement of UIN Jakarta as the institution of higher education to produce high-standard scholars. â€œWith hope, if the students input are qualified and able to compete, so does UIN Jakarta can brings the qualified and able to competed output, both in national and international arena,â€ said rector. Beside the flag ceremony, commemoration of independence was also charged with giving awards to lecturers and employees for their achievements and dedication. Meanwhile, served as reader of Pancasila, Vice Dean for Student Affairs, Alumni, and Cooperation Faculty of Daâ€™wa and Communication, Dr. Suhaemi M.Si., served as reader of Preamble of UUD 1945, Vice Dean for Student Affairs, Alumni, and Cooperation Faculty of tarbiyah and Teaching Studies, Dr. Fauzan MA, and the reader of Proclamation text, Vice Dean for Pub;ic Administration Faculty of Sharia and Law, Dr. Ahmad Tholabi Kharlie MA. (LRF) Translated by Mahar.